Kenya is committed to strengthening relations with South Africa with the main focus on trade and investment. CS Foreign Affairs Monica Juma gave this update after the official opening of the two day 3rd Kenya trade and investment summit in Johannesburg. Monica Juma urged private sectors of both Kenya & South Africa to drive the growth of trade and investment in our two countries and take advantage of the AcFTA to grow Intra-Africa trade & integration. The Foreign Affairs was speaking in the presence of various delegates who were in attendance at the conference. The CS later held a bilateral meeting with Dr. Siyabonga Cwele, Minister of Home Affairs of the Republic of South Africa at his office in Arcadia,Pretoria. The tow officials discussed modalities of progressing negotiations in the area of movement of persons, goods & services between Kenya and South Africa. As part of her schedule, she also commissioned the newly refurbished Chancery-Taifa House in Menlo Park Pretoria and later interacted with Kenyans that were seeking consular services. 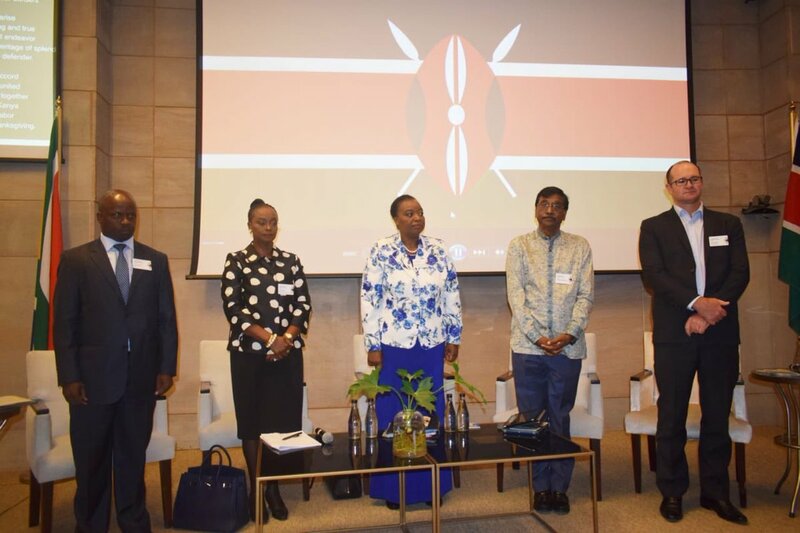 The post CS Monica Juma reveals Kenya’s plans to strengthen trade and investment ties with South Africa appeared first on Kenya Today.